The man who wrote the opera 'Prince Igor' was a renowned scientist and chemist, besides being a great composer. Although composer Alexander Borodin (1833-1887) is best known for writing one of the best Russian operas, "Prince Igor," he was also a renowned scientist and chemist. In fact, many Russian composers were not only composers. Mussorgsky was a militarist. Rimsky-Korsakov was a sailor. By education Borodin was a doctor. He graduated from the Medical Academy, and he was a friend of the discoverer of the periodic system of elements, Dmitry Mendeleyev, and other luminaries. The great Russian chemist Nikolay Zinin, who taught Alfred Noble, also taught Borodin. Zinin was terribly annoyed by the fact that Borodin was interested in music. He used to tell him, "Sasha, forget these romances and enjoy a serious matter." However, despite the romances, Borodin worked seriously in science and is created with discovering the so-called Borodin reaction. But he was fatally unlucky: as soon as he started to deal with any problem, immediately it became clear that it was already taken by Western scientists. And it seemed he was making a way for them. When Borodin was asked why he was inferior to Europeans, he sighed and said, "My lab barely exists. I have no helper and no money, and they have huge amounts of money and 20 assistants." 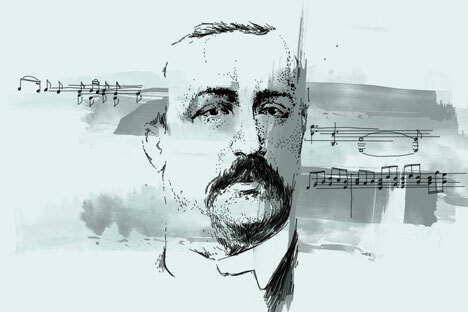 Despite his enthusiasm for music, Borodin for a long time treated it as a secondary cause. Everything changed when he met Mussorgsky. He then worked in the hospital, where Mussorgsky was treated. They met, talked, and drank beer. Borodin told him music is a good thing, "but why break a life for it?" Mussorgsky agreed, and asked Borodin if he knew the composer Schumann. Borodin said he didn't, so Mussorgsky began to play. After that Borodin realized that life has to be changed somehow, without music he couldn’t live. Mussorgsky introduced him to the circle of "The Mighty Handful," which included the best composers of the time: Balakirev, Rimsky-Korsakov, Cui. Under their influence, he reforged into the Slavophiles. The apotheosis of the Slavophiles was his First Symphony. He worked on it for five years. It was followed by the Second Symphony. Mussorgsky offered to call it "Slavic heroic." Then the name was specified: not just Slavic, but Russian. Not heroic, but Bogatyr. This name stuck as "Second Bogatyr Symphony." He worked in fits and starts. There was always something distracting. During lectures and scientific experiments music was in his head. And sometimes during the conversation with Rimsky-Korsakov, he suddenly jumped up and ran to the lab. His soul was torn. Thoughts hovered somewhere else. He was a generally distracted man. He could ask his wife in his thoughts, "Katya, for God's sake, what's your name?" One day he invited guests. There was plenty of music, dining, talking. Borodin suddenly got up and began to dress. When asked where he was headed, he replied, "How do you mean where? Home! It is late already, and I have a lecture tomorrow." And only then he realized that he was at home. After two symphonies, Borodin started to write an opera. It was a large-scale plan - to make an opera on the main Russian epic, "The Tale of Igor's Campaign." The work spanned 18 years. Borodin studied the sources, chronicles, and historical researches. But something was distracting him. He had to give lectures, to translate books to earn money. He had not other sources of money. Borodin died unexpectedly. He had arranged a ball at home and invited guests. He dressed in a Russian folk costume. While guests were having fun, dancing, and singing, Borodin suddenly stopped in mid-sentence and fell to the floor. It was a heart failure.